Should You Keep Old Tax Returns? After the end of filing season, many people receive a copy of their returns from their tax preparer and file them away in a cabinet or drawer along with past returns. In many cases, years of saved tax returns can leave little room for other documents and start to create clutter, prompting many Americans to question whether they need to bother hanging on to old returns. The answer to that question is: Yes. It's not always necessary for individuals to keep 30 years of tax records, but there are different timelines and guidelines applied to old returns depending on a filer's personal situation. For example, the Internal Revenue Service urges individuals to keep old returns for at least three, especially those who carried a tax liability. In many cases, keeping a return for at least three years gives individuals the opportunity to amend them in the event of mistakes. Three years is also the statute of limitations imposed on the IRS for auditing an individual, unless more severe circumstances exist, such as fraud or tax evasion. There are some scenarios in which keeping tax records for a longer period of time or indefinitely is the best option. For example, in cases where individuals did not report income that should have been reported, and the amount exceeds 25 percent of the gross income shown on their returns, all tax records should be kept for a period of six years. In more serious circumstances, such as when individuals filed a fraudulent return or failed to file at all, records should be kept for an indefinite period of time. Even if the statute of limitations for an IRS audit or making amendments to a return have passed, it's important for individuals to take a cautious approach to throwing out old returns. 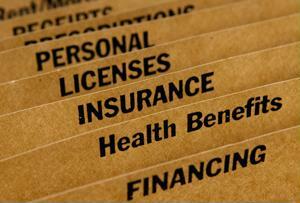 In some cases, lenders, insurance agents and other parties may need them to render services to filers. This is particularly true in the case of mortgage lenders, who typically request several years of previous tax returns from home loan applicants. Therefore, any person planning on making a big life change may want to hang on to their files a little longer just to be on the safe side. Lastly, tax records contain a great deal of personal information, such as Social Security numbers, addresses and employment data. When disposing of these documents, individuals should shred them to lower their risk of identity theft.